Disney Infinity Toy Box 3.0 Coming To Your Mobile Devices! Disney Interactive is really doing what they can to make Disney Infinity 3.0 as widely accessible as possible. I really appreciate the effort to utilize a variety of gaming platforms and really engage with gamers of all kinds. Earlier this month it was announced that Disney Infinity 3.0 would be available on the new AppleTV. Today, Disney announced that Disney Infinity: Toy Box 3.0 would be coming to iOS, Android and Amazon mobile devices for free! Hi Everyone! I’m Sean Patton, Senior Producer for Disney Infinity mobile. I’m excited to announce that, beginning today, the Disney Infinity: Toy Box 3.0 app is now available for free for iOS, Android and Amazon devices. 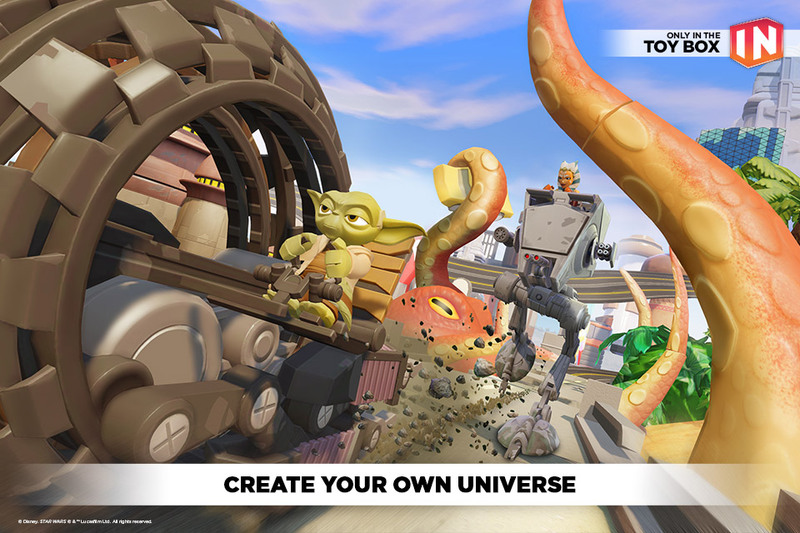 The new app delivers Disney Infinity’s Toy Box mode, with console-like graphics and functionality, tailored for mobile devices and tablets. This launch is especially exciting for us because mobile has consistently been the most popular platform for Disney Infinity in terms of the number of players, and the overall engagement of the community. In fact, mobile players upload and download more Disney Infinity Toy Boxes through mobile devices and tablets than on any other platform. We’ve packed the Disney Infinity: Toy Box 3.0 app with many of the most popular new areas of the Disney Infinity 3.0 Edition Toy Box mode, including the Toy Box Hub, the El Capitan community center and farming simulation. Also, we were sure to include all of the popular existing Toy Box features, such as Toy Box sharing, networked multiplayer, INteriors and of course, players can unlock toys and Power Discs in new Daily Challenge mini-adventures. We want this to be a seamless community experience for our players, and with that in mind, Toy Box 3.0 players can easily share Toy Box creations with friends and the community on PlayStation 4, PlayStation 3, Xbox One, Xbox 360 and Wii U. Mobile players will also be able to download and play any of the Toy Box levels created on console. For those who already play Disney Infinity on console, you can unlock your existing characters via web codes that are included in the packaging with the figures. 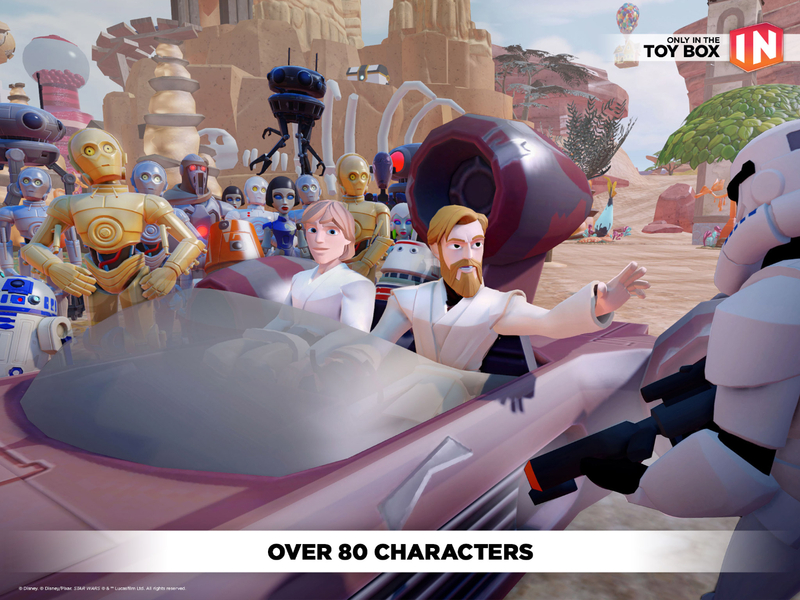 Mobile players will have access to all of the Disney Infinity characters, as well as the Toy Box Speedway Expansion Game via in-app purchase. And three new trial characters will be available for free each week. In addition, the Toy Box 3.0 app features forward-compatibility for all 1.0 and 2.0 characters – so you will be able to bring all of your favorites from previous installments of the game into new Toy Box creations. I hope you enjoy the game. I can’t wait to see your Toy Box creations!